The Government Accountability Office cut $11.5 billion from the F-35’s acquisition costs “due solely to efficiencies found within the program as no decrease in quantities was reported,” reports Breaking Defense. 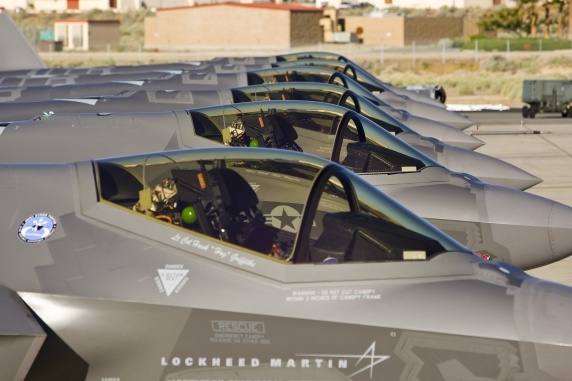 The GAO’s annual “Assessment of Selected Weapons Report” stated, “Production efforts have improved as the production line continues to show efficiencies and quality metrics show positive trends.” Lockheed’s F-35 program still faces potential software and design changes, according to the report, which also said projected operations and maintenance costs of more than $1 trillion over the next decades may fall. The Washington Post reports, Pentagon cybersecurity staff will triple from 1,800 by the end of 2014 to 6,000 by 2016. The DoD is recruiting outside professionals to apply and encouraging military personnel to train to fight cyber threats to national security, according to DefSec Chuck Hagel. House Republicans seek to push defense spending $483 billion above sequester levels over 10 years, reports The Hill. The funding increase would be offset by cuts to non-defense discretionary spending. The additional funding may allow the DoD to maintain an 11 carrier fleet and halt cuts to Army troop levels. The Pentagon is delaying until 2016 major decisions such as retiring the USS George Washington early, in case Congress reverses sequester spending caps. Blackberry received a boost March 27 when it was granted Full Operational Capacity for its BlackBerry 10 to run on Defense Department networks, according to C4ISR & Networks. BlackBerry is the first mobile provider to receive FOC, which can enable government BlackBerry 10 users to securely access email, data, apps and other DoD network resources. DefSec Chuck Hagel announced creation of a single Pentagon-level office to find the remains of fallen US service members from foreign battlefields, reports the Military Times. The directive will eliminate the existing command, reportedly plagued by mismanagement, waste and incompetence. The new office centralizes efforts to find 83,000 Americans still missing from WWII and in Korea and Vietnam. “You take care of the people who gave their lives to this country and you take care of their families, and that has been a critical component of who we are as Americans,” Mr. Hagel said. Progeny Systems Corp., Manassas, Va., is being awarded a $9,589,064 cost-plus-fixed-fee contract for engineering and technical services in support of the Navy’s AN/UYQ-100 Undersea Warfare Decision Support System. This contract includes options which, if exercised, would bring the cumulative value of this contract to $55,567,452. Work will be performed in Manassas, Va. (67 percent); Patuxent River, Md. (12 percent); Gig Harbor, Wash. (7 percent); Middletown, R.I. (6 percent); Norfolk, Va. (4 percent); and Pearl Harbor, Hawaii (4 percent), and is expected to be completed by March 2015. Fiscal 2013 and 2014 research, development, test and evaluation; fiscal 2014 other procurement, Navy and fiscal 2014 operations and maintenance, Navy funding in the amount of $6,877,411 will be obligated at time of award. Contract funds in the amount of $183,000 will expire at the end of the current fiscal year. This contract was not competitively procured in accordance with the Federal Acquisition Regulation 6.302-5. This contract is being awarded as a Phase III Small Business Innovative Research effort, under the Small Business Innovative Development Act of 1982. 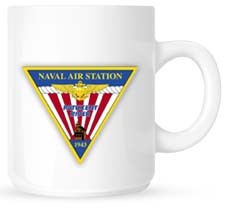 The Naval Sea Systems Command, Washington, D.C., is the contracting activity (N00024-14-C-5209).